Where We Care - Yoders Window offers a great selection of top-of-the-line windows complimented with fast and reliable window installation services, making us your one-stop shop for your replacement window needs. More than your regular window company, we also provide replacement siding for homes and light commercial establishments. 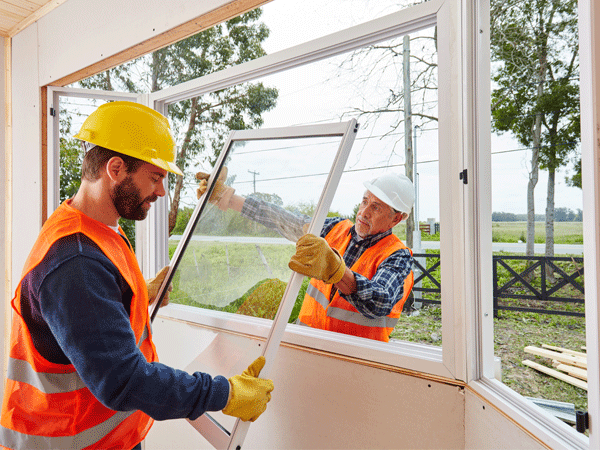 Read on for a quick overview of our window and siding solutions! Poor or damaged siding can negatively affect your property’s outdoor appeal and structural integrity. When it’s time to replace your siding, rely on Where We Care - Yoders Window. We are the choice for excellent vinyl siding. Whether you need replacement siding for your home or office, we have you covered. For your complete convenience, we can install your new siding, too! Top-notch replacement window installation is our promise here at Where We Care - Yoders Window. We go the extra mile in completing installation jobs. Hire us for a window installation project, and rest assured that your new windows will be placed properly and promptly! You can also count on us for siding installation.